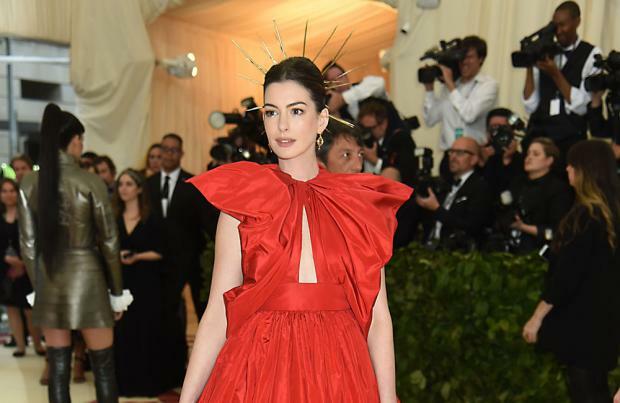 Anne Hathaway isn't expecting "everybody" to like her new movie. The 36-year-old actress stars opposite Matthew McConaughey in 'Serenity' – a thriller in which she begs her fisherman ex-husband to kill her current, abusive, spouse for the sake of her son and her own wellbeing – and though she was a big fan of the film, she understands why it may not be universally popular. She said: "I love it, but I don't think everybody's going to. There's a pretty toxic cocktail going on and, without running the risk of spoilers, the ending doesn't sit well with a lot of people." Anne was attracted to the role because she wanted to portray a broken woman. She told Sunday Times Style magazine: "I wanted to show a woman who had her identity crushed and handed a new one that was entirely the making of a man consumed by the male gaze." The Oscar-winning actress tries to find roles that are very different to her own self, dismissing advice she was given early in her career. She said: "At the beginning of my career, an actor told me, 'We basically play ourselves.' No, I do this because I want to leave myself behind." Since Anne and her husband Adam Shulman became parents to their son Jonathan, now two, the 'Les Miserables' actress admitted she has started to think differently about her career because it's no longer her main priority. She said: "Leaving him is hard. I don't want to complain. I love what I do and I'm not ready to stop doing it. I was told that once I had kids, I wouldn't care about my career any more. I was, like, 'Nah.' But I love something so much more now."